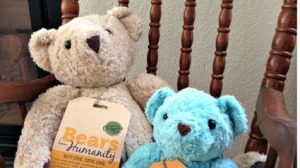 Being a blogger is great because I get to tell you about products that I find and use and want to share with you. 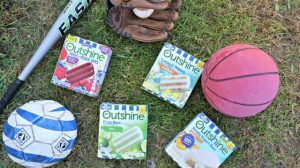 Today was even more special because I get to tell you about a product that is not even sold in stores yet!! Am I lucky or what? Almost every Friday night is Family Movie Night at my house. We eat pizza picnic style on the floor while watching a newer release family flick. This week it was Ramona & Beezus! Have you seen that yet? I was a Beverly Cleary reader as a kid and read all the Ramona books and I was definitely looking forward to the movie while Hubby I think was dreading it. He was looking forward to dessert though! 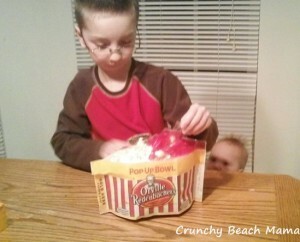 We were trying the new Orville Redenbacher’s Pop Up Bowls. And what fun they were! The boys were so excited that they were fighting over who gets to put it in the microwave to pop! Even P’Diddy wanted to see what the excitement was about! What is unique about the new Pop Up Bowls is that you don’t have to transfer hot popcorn from the micro into the bowl. You carefully lift it by it’s side handles, peel off the top, & it’s ready to eat! 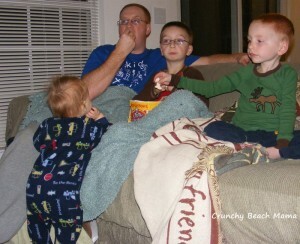 Family Movie Night was again a blast at our house! Even Hubby had to admit that both the movie & the popcorn were great, but next time we’ll be getting Ultimate Butter! Orville’s Pop Up Bowls will be first be available at Walmart. Wahoo! Do you have Family Movie Night at your house? What do you do to make it special? I was compensated by Collective Bias, but all opinions are my own. We have Family Movie Night - sometimes the movies my kid pick are awful but it's all about hangin' out, right? I really want to get gremlins for my kids! I loved that movie!